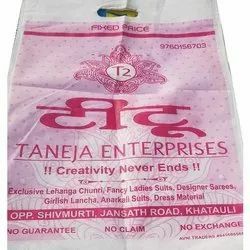 We are instrumental in providing D Cut Bag. These are largely utilized in numerous sectors. These are widely appreciated for their excellent quality. These are created in a wide spectrum of colors, alluring designs and intricate patterns and are offered at attractive prices. These are used in textile, ready made cloth market. 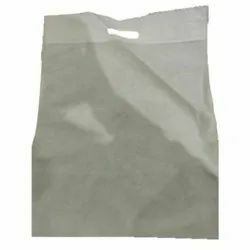 Plastic Bags provided by us are well known for their durability & strength and designed keeping in mind the client's requirements and specifications.These Eco-friendly and reusable bags are ideal for use in retail stores, conventions and trade shows. - We make bags in three colors Ivory, Beige, White as per customer requirement.